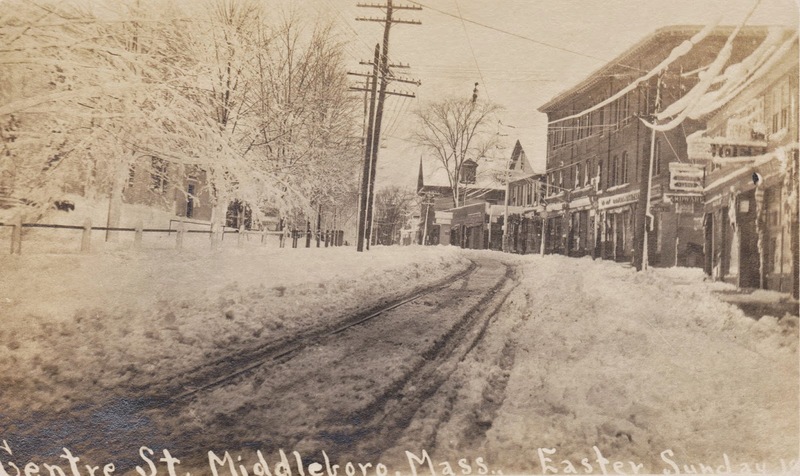 One of the more historically notable snowstorms in Middleborough's past was the blizzard of Easter Sunday 1915. Described by the Middleboro Gazette as one of the worst in years, the storm in early April dumped a considerable quantity of snow on the town leaving church-goers on April 4 to confront the remarkably un-spring-like scene in the photograph above. 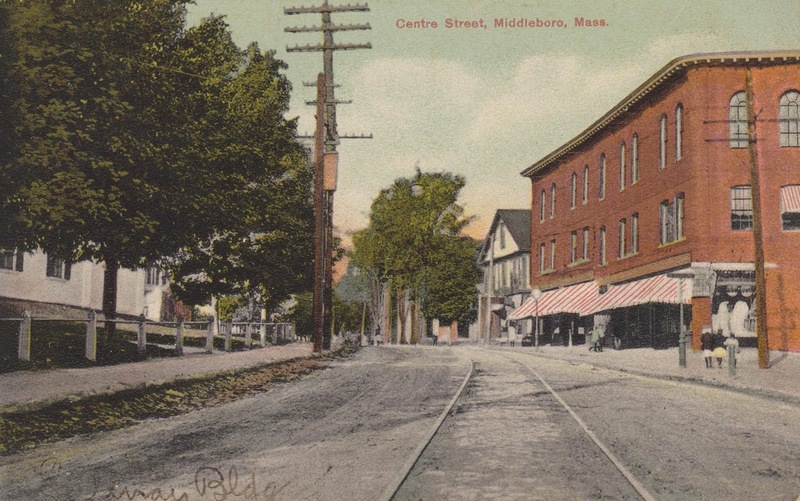 The view depicts Center Street taken from in front of what is now Santander Bank. Recognizable is the Glidden Building at the right of the view. Though little plowing has been done, the street railway has managed to clear its tracks and the owners of the T. W. Pierce hardware store (the building at the immediate right with the sign marked "SHOES") have shovelled the sidewalk in front of their building, now the site of Benny's. The image below shows nearly the same view without snow.